Learn about the doctors that power the next generation of urgent care clinics. Get to know the emergency medicine doctors who bring their skills to Exer’s urgent care clinics. Dr. Brian Wilbur hails from San Rafael, CA, but sacrificed his Northern California status when he moved to Los Angeles to attend UCLA as an undergrad. He completed his BA in History, travelled around the world and then returned to LA for medical school at Keck USC. After completing a residency in Emergency Medicine at LAC-USC Medical Center, he has worked in various emergency rooms in the region – most recently as director of a very busy community ER near Long Beach. He has also volunteered in Haiti, was the NBC doctor for the Olympics, acted as script consultant for TV and started a line of surf-related men’s grooming products. In between shifts, Dr. Wilbur acts a medical manager for the local FEMA Urban Search and Rescue team, surfs southwest swells, causes unintentional damage to golf courses, and reads voraciously. He is also volunteer faculty at Keck USC where he teaches clinical skills to medical students. Dr. Wilbur lives in Venice with his filmmaker wife and troublemaker twin boys. 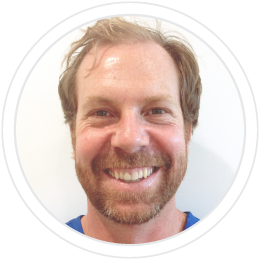 Dr. Leif Lunsford received his undergraduate degree in Biology from UC Davis and attended medical school at Boston University. After an internship at Harbor UCLA Medical Center, he completed his residency at County USC Medical Center. 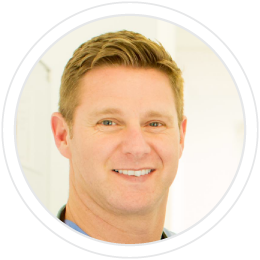 Dr. Lunsford has worked in numerous emergency rooms around Southern California, and has served as a Medical Director at Exer for the past few years. When he’s not helping patients, Dr. Lunsford enjoys playing beach volleyball and attending live concerts. Mark Rubin, M.D. is a graduate of the University of Southern California Medical School. 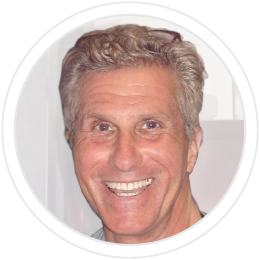 He has practiced Emergency Medicine for over 30 years. He was in the first Emergency Medicine Residency graduating class at the University of Arizona Medical School in Tucson. His 30 plus years of working in the ER has given him an appreciation of the need for preventive and early predicative strategies for extending a healthy lifespan. He is currently enrolled in a Masters program at the University of South Florida Medical School in Nutritional and Metabolic Medicine. He is an Advanced Fellow in Anti-Aging and Regenerative Medicine and Functional Medicine under the auspices of the American Academy of Anti-Aging Medicine. Dr. Christina Matts received her undergraduate education at California State University of Bakersfield. She then went onto UC Irvine Medical School to obtain her medical degree where she graduated with honors. Following this she completed her residency in the prestigious Harvard Affiliated Emergency Medicine Program in Boston, Massachusetts. Dr. Matts then returned to the Southern California area where she has been working locally for almost a decade. Her experience during her time in a very busy hospital emergency room has helped to shape her vision for a better way to deliver health care in a more streamlined fashion, while at the same time maintaining an exceptional quality of care. 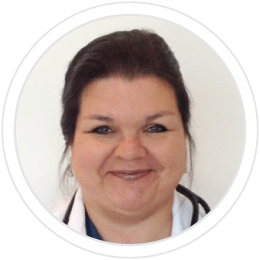 Dr. Matts currently resides in Southern California with her husband and two children. Dr. Vineeta Keswani is a board-certified diplomat of the American Academy of Emergency Medicine. She received her training in India at Bharati Vidyapeeth Medical College and completed her residency in Emergency Medicine at UCLA/Bakersfield. She is currently practicing as an Emergency Medicine Physician in California and serves as a Chair in AAPI, the second largest medical association. Dr. Keswani believes in overall health maintainance through integrative, preventive, and mental health. She is currently enrolled in an Advanced Fellowship program in Anti-Aging and Regenerative Medicine and Functional Medicine under the auspices of American Academy of Anti-Aging Medicine. 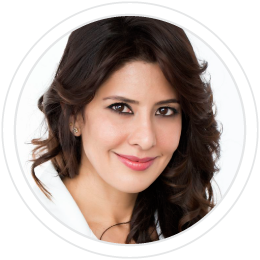 She is also certified in Aesthetic Medicine and Medical Hair restoration through the same academy. 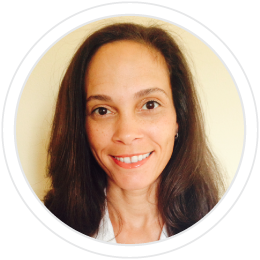 Dr. Keswani’s passion is taking care of her patients, and in her free time she enjoys fitness, dancing and the beach. Susan Salazar, MD is a David Geffen UCLA Medical School graduate. She completed her Emergency Medicine residency at King/Drew Medical Center in Los Angeles. During her professional career, Dr. Salazar has participated in various research opportunities within King/Drew Medical and has held attending positions at Pomona Valley Hospital Medical Center, Yosemite Medical Clinic, and Marina Del Rey Hospital. She is highly commended in her numerous honors and achievements, and has contributed to committees such as the Emergency Preparedness Committee at Marina Del Rey Hospital and Pomona Valley Hospital Medical Center, the Pathology Committee at Pomona Valley Hospital Medical Center and Orthopedics Committee at Pomona Valley Hospital Medical Center. Dr. Salazar enjoys volunteer work, quilting and reading in her free time. Brittan Durham is a board certified Emergency Medicine Physician with many years of post-graduate experience diversified in academics, administration, legal and clinical medicine. He graduated medical school from UCLA, completed his internship at Texas Tech, and his Emergency Medicine residency at Drew/Martin Luther King. He completed an Academic teaching fellowship at UCLA and became an assistant professor at the UCLA school of Medicine. He has been an Emergency Medicine residency program director and a director of an Emergency Medicine Services (EMS). He works for the Medical Board and the Department of Consumer Affairs of the State of California and writes for the Medical Board Newsletter. Dr. Durham has two children that always make him laugh. He plays classical guitar and is a FAA certified pilot. He speaks Spanish, attempts to run with the Bulls in Pamplona Spain whenever he can, and likes to dance the thriller. Dr. Randall Pokomo is a board certified fellow of ACEP. He majored in mechanical engineering at the University of Pennsylvania where he was a member of Penn’s national championship crew team while attending on a full scholarship awarded to the outstanding graduating high school senior in the region. After working as an engineer at Kodak, his interest in biomedical engineering led him to medical school at USC. Following internal medicine training at Kaiser Los Angeles Medical Center, he was among the first attending physicians in the emergency department of the LAC/USC Medical Center. Throughout the majority of his career Dr. Pokomo has served as medical director of various entities, including the emergency departments of the Hospital of the Good Samaritan and Orthopaedic Hospital, The Fair Oaks Industrial Medicine and Urgent Care Clinics, Orthopaedic Urgent Care Center, and Orthopaedic Occupational Medicine Center. He is an AAMRO certified medical review officer and holds a fluoroscopy supervisor’s license. Dr. Pokomo lives in Pacific Palisades with his wife Cheryl and their rescue Lab Bailey. He enjoys skiing, scuba diving, golf and yoga. His daughter Lauren is a fourth year medical student who recently completed a clerkship in emergency medicine while working with her dad. Dr. Simi Bajwa received her undergraduate degree in Biology from Eastern Michigan University and her Master’s in Public Health from the University of Michigan. After her internship at Henry Ford Bicounty Hospital, she completed her Emergency Medicine Residency at St. John Oakland Hospital in Michigan. She began her professional career working in numerous ERs in California including St. Johns (Oxnard) Pleasant Valley (Camarillo), VCMC and Santa Paula and then joined the Exer family. Dr. Bajwa has been married to her medical school sweetheart for 13 years and together they have 2 kids, 1 dog and 2 turtles. In her free time she enjoys martial arts, basketball and swimming. Sign Up for Exer Emails! Receive info you'll want to know, before becoming sick or injured like the clinic hours over the weekend or holiday and new clinic openings in your area.